I love the sketch! Thanks for a great challenge. Your example is gorgeous!!! I am gonna try to get a few free minutes to play along :) Great sketch! Beautiful card, Natasha! I always look forward to Fridays to see what you've come up with -- thanks for all the great inspiration! I just loved this sketch and am so pleased with my results. Your blog is a favourite and I look forward to peaking at it regularly. Thanks for the wonderful inspiration. 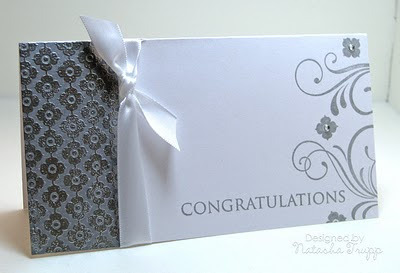 Your card is stunning...simple and extremely elegant! This version is so elegant! I love your challenges! First time playing along :-) Thanks! LOVE this sketch girls! Thanks so much for sharing! This card is jaw-dropping gorgeous!! Just perfect. Hope I get a chance to play along. Very much enjoying your challenges. Thank you for being such an inspiration. 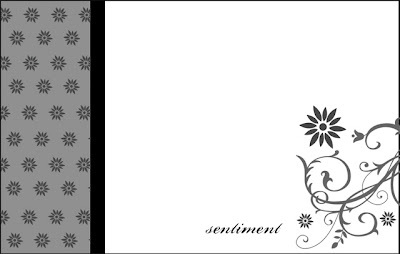 such a beautiful sketch and your samples are so elegant! thanks for the inspiration! Another awesome sketch! Thanks for the inspiration! Another great sketch...I just might be hooked on your super challenges!! Great sketch! Thank you for giving me the challenge to work with it! Wow, Natasha...I just subscribed to this (or perhaps resubscribed). Anyway, this is a great sketch and card. I'm energized by this one...and inspired as always! Thanks for sharing this beauty with us!